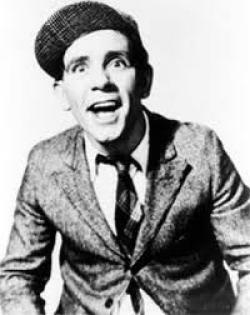 Sir Norman Wisdom’s death, passing peacefully in his sleep, seems strangely incongruous for a man whose comedy was all energy and movement, pratfalls and skidding feet. That energy sustained him through a career spanning seven decades, from his early breakthrough as David Nixon’s foil to his rush of films in the Fifties, through Broadway and Vaudeville roles in the 1960s, to ‘serious acting’ in the 80s and back to comedy all over again. He was man with heroic talents: a champion boxer in the army; he sang, danced, acted, and did end-of-the-pier comic performances; but above all he was a clown, tripping over thin air like no other. Not bad for a lad who was on the streets at 11, and didn’t enter showbiz until he was in his thirties.